Show off your worldwide readership with the premium visitor maps widget for WordPress! 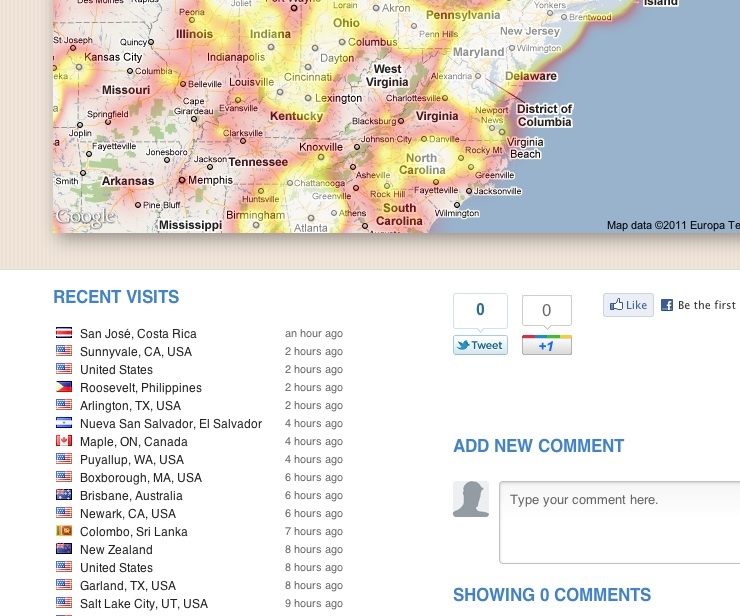 When people around the world visit your site, the corresponding areas on the map widget light up. You need a PulseMaps account to use the plugin. Download the plugin directly from your WordPress admin site. Alternatively, download from the WordPress Plugin Directory. Upload the folder “pulsemaps” to the “/wp-content/plugins/” directory. Activate the PulseMaps widget through the “Appearance / Widgets” menu in WordPress. That is, drag the widget on your blog's sidebar. Visitor tracking will not work unless the widget is active. Go to “Settings / PulseMaps” to customize the appearance and behavior of your widget. All done! Give yourself a pat on the back. Simply drop the hit counter widget on your blog's sidebar. The map widget will work as a form of “social proof” : your visitors see that your blog is being read by people all over the world. This makes your blog instantly more trustworthy–who would trust a blog nobody reads? With this widget, you show readers that your site DOES get visitors. As an added bonus, the map just looks pretty dang cool! Zoom and pan a larger map on the admin panel for a closer look. Concerned that the widget might not fit your beautiful theme? Don't worry, you can freely choose the style, color, and size for the hit counter widget so it will perfectly match your site. Click on the widget for a huge, gorgeous, fully zoomable map and a wealth of other information.